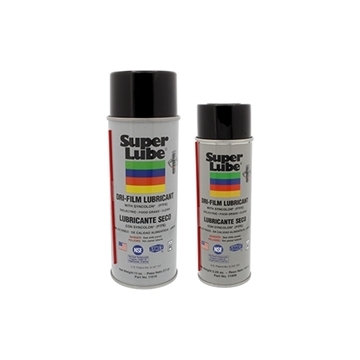 Super Lube® Dri-Film Lubricant contains sub-micron sized particles of Syncolon® (PTFE) powder in a solvent base. When applied, the solvent cleans and carries the dry lubricant powder to the components to be lubricated, then evaporates very rapidly, leaving behind a protective Syncolon® (PTFE) shield that will not attract dust. The dry coating provides a low coefficient of friction which gives excellent lubrication and release properties. Super Lube® Dri-Film with Syncolon® (PTFE) Lubricant can be used on wood, paper, glass, rubber, fabric, leather, vinyl, metal and most plastics not under stress. It has excellent thermal and chemical stability, forming a natural insulating barrier when used on electronics. 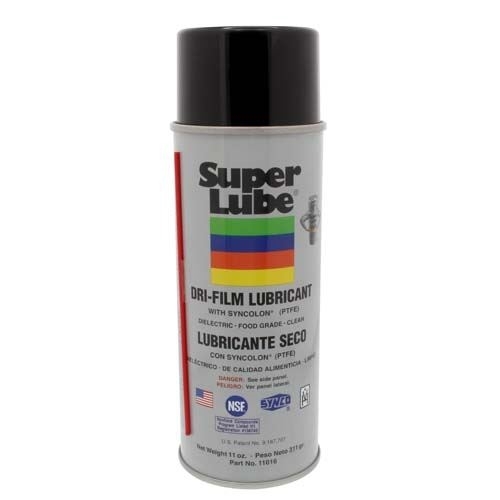 Super Lube® Dri-Film Lubricant with Syncolon® (PTFE) is an NSF registered Food Grade lubricant, rated H1 for incidental food contact and meets former USDA (H1) guidelines. 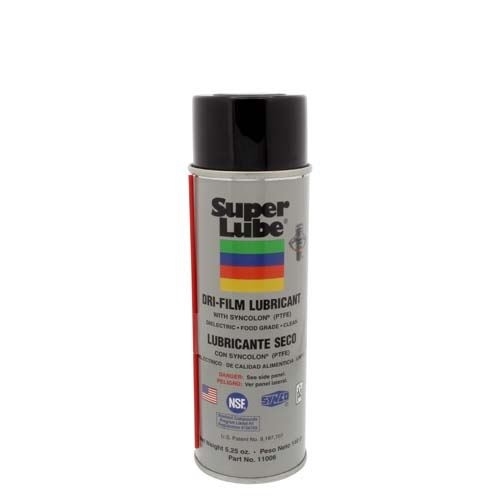 Super Lube® Dri-Film Lubricant with Syncolon® (PTFE) is Kosher Certified.